You donʼt have to be a millionaire to have a beautiful, livable home. At New Spaces, weʼre experts at helping Minneapolis St. Paul homeowners remodel – realistically. New Spaces has an amazing renovation team of employees that includes award-winning designers, experienced carpenters, and a very detailed production manager. Our designers are not sales people, meaning they are not paid a commission, and our designers and carpenters are in-house employees. There is never any pressure, only professional advice. With New Spaces the remodeling process is fun and worry free. And it starts when you sit down with Jennifer McClellan, our homeowner adviser, to learn about our design-build process. We'd love to hear from you! Natural Stone & Tile has served Minnesota as a direct tile importer since 2004. we pride ourselves on excellent customer service and providing the best products for the best possible prices. Roberts’ Residential Remodeling, Inc. has been building dreams for nearly 40 years. Our experienced design and build team takes pride in listening to and collaborating with homeowners to create stunning living spaces that meet their design, space and budget goals. 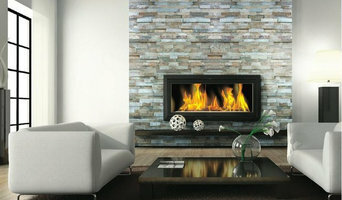 We are a true design and build firm with a complete selection center and design office. We are involved in all phases of construction from shingles to sod. Roberts’ Residential Remodeling, Inc. has one of the only in-house millwork shops in the Twin Cities. 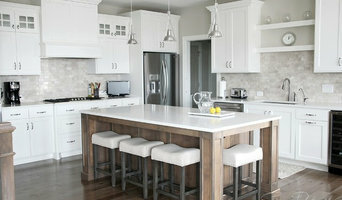 Our craftsmen create elegant, architecturally correct and functional custom cabinetry of all types. We look forward to serving our customers with the best prices and highest level of quality service in the Twin Cities area! Nature's Stone is the Twin Cities premium discount kitchen granite installation specialists! Titus Contracting is a full-service remodeling company offering residential construction. Additionally, we have craftsman that will provide cabinets, tile installation, and finish carpentry. We have an office in Burnsville and work throughout the Twin Cities. We are also certified Subzero / Wolf appliance installers (which extends the customer's warranty offering). Mission (Why we exist) Our existence is fueled by the process of turning client’s construction dreams into reality. We strive to exceed our client’s expectations through: good communication, cost effective, quality minded work, and follow through across a wide range of divisions including: residential, commercial, and multi-family projects. Surpassing expectations will build long term relationships which is the heart of Titus Contracting. Vision (How we see our future) We will continue to build relationships through the transformation of our clients’ construction dreams into reality. We will work with passion to ensure that our projects are mutually successful for our clients, team members, business partners, and communities. Our mission is realized through being a market leader in communication, integrity, value, execution, innovation, and bringing forward thinking into our construction practices. The relationships we are building are the heart of our company. Relationships drive our mission, values, and goals in our construction ventures. Titus Contracting is BUILDING RELATIONSHIPS… With our clients: we strive to exceed their expectations in quality, value, and execution while building their dreams. With our team members: we are supporting an enjoyable work culture based on teamwork, diversity, integrity, and education focused on turning our team member's goals and dreams into reality. With our business partners: we are fostering partnership with clear communication, planning, and honesty. With our communities: we are contributing with local economic growth using sound and sustainable business practices. We share our profits with our team members and charitable endeavors. Support small business. We focus on people and processes to deliver a superior product to our clients. We are driving innovation, forward thinking, and technology into our processes to be a market leader in the construction industry. California Closets set the standard for custom closets and home storage when we pioneered the category in 1978. We have come a long way since those early days of delivering closets in a VW van along the Pacific Coast. Today you will find us to be innovators in the meaningful use of space. California Closets has been serving Minnesota since 1989. 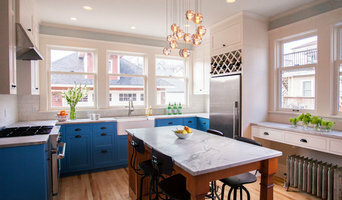 Owners Moe Sweeney and Michele Skjei are passionate about unique, high quality design and employ a team of six design consultants and four expertly trained installers to fulfill your design needs. We are locally owned and operated. But before you start sending out dozens of emails and making phone calls, sit down and think about your project. What's your budget? What is the scope of your project? Will you need more than one type of professional to complete your home improvement project in Burnsville, MN? Can you afford to complete the full project now, or should you tackle it bit by bit? Once you've settled on your project’s priorities, budget and scope, it's time to start researching Burnsville, MN home design professionals. Don't sell yourself short and settle on the first professional you set your sights on. Make sure that you're working with someone local, who can get to the jobsite easily and efficiently. Look into the person’s reviews, ask to speak with former clients and to see previous jobs in person. Take a good look at their portfolio photos: How similar are these projects to your own? Be honest — that mansion might look beautiful, but it might not have a lot in common with your little bungalow. Reach out to multiple professionals — especially for larger projects — and don't settle for the first bid you hear. Comparing multiple Burnsville, MN professionals' bids and experiences can help you find the one that’s best for you. Ask a lot of questions now, so you won't have unexpected answers later. Find a home design professional on Houzz. Narrow down your search by type of professional and location. Browse Burnsville, MN portfolio photos, read client reviews and contact each Burnsville, MN professional for more information. Check out the information in the specialized professional sections too for tips on how to hire the right professional for your project.